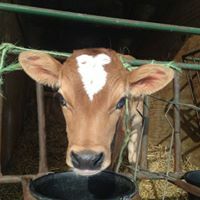 Visit our Barnyard walk its a free farm experience for family outings to visit and see the animals frolic and play on the farm. This is a working Dairy Farm so you may see farmer Larry and his helpers feeding and caring for the animals while your here. Stop and see Elmer the donkey or visit our nursery of baby calves and baby goats and pet them. Always something to see all year round. 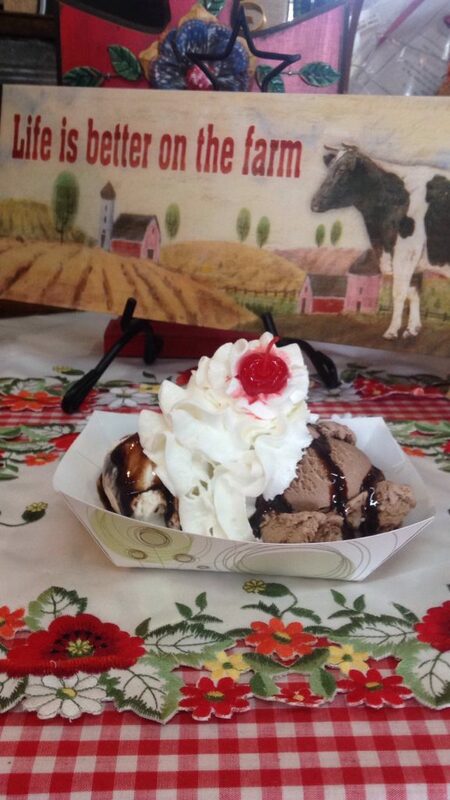 Come take stroll around the farm, and see where Ice Cream comes from… have some “Hand Dipped Premium Ice Cream” and relax. Nothing better then viewing the country side as our Jersey Cows graze in our fields or take a walk to see our barnyard friends and stroll over to the playground with your kids, while enjoying your yummy delicious treat. Try every flavor and never go back to any ice cream lower than 16% butterfat! *We Offer Pumpkin & Maple Walnut Ice Cream in September & October. Milkshakes, Root Beer Floats & Ice Cream Sandwiches too! Our hours are the same as our business hours. ALLERGEN ALERT: All products contain Milk product and are manufactured in a facility that uses Wheat, Eggs, Soy, Tree Nuts and Peanuts.